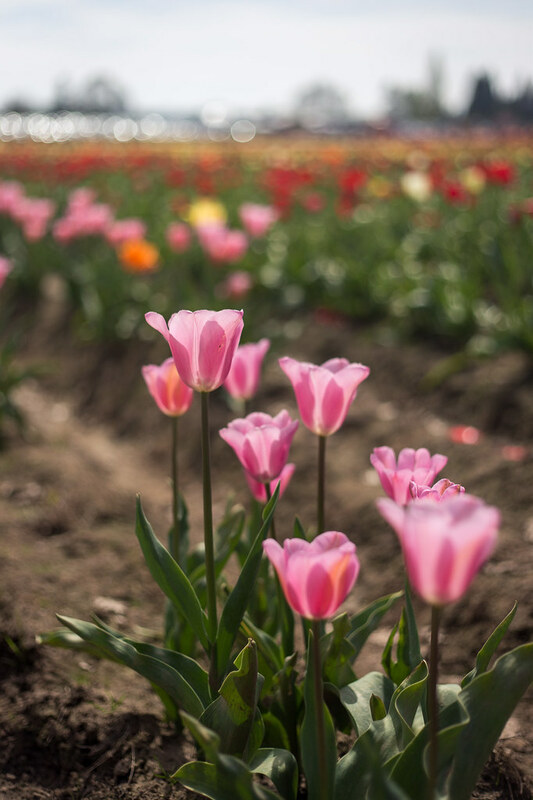 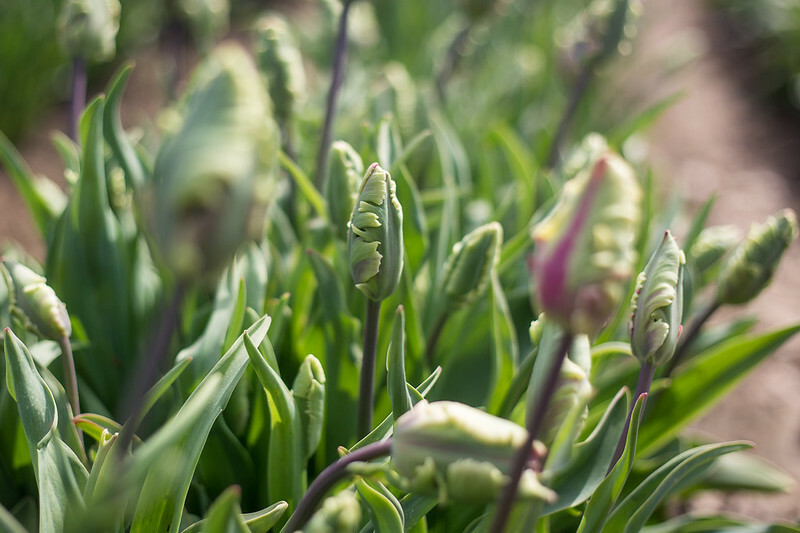 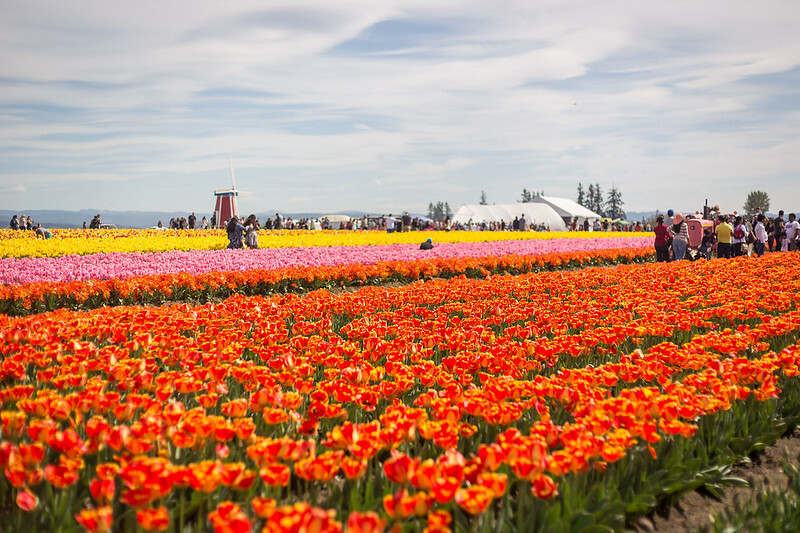 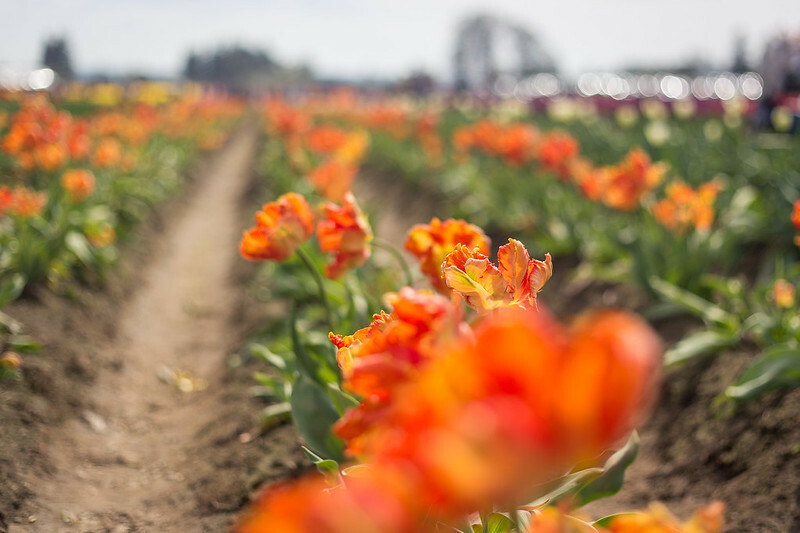 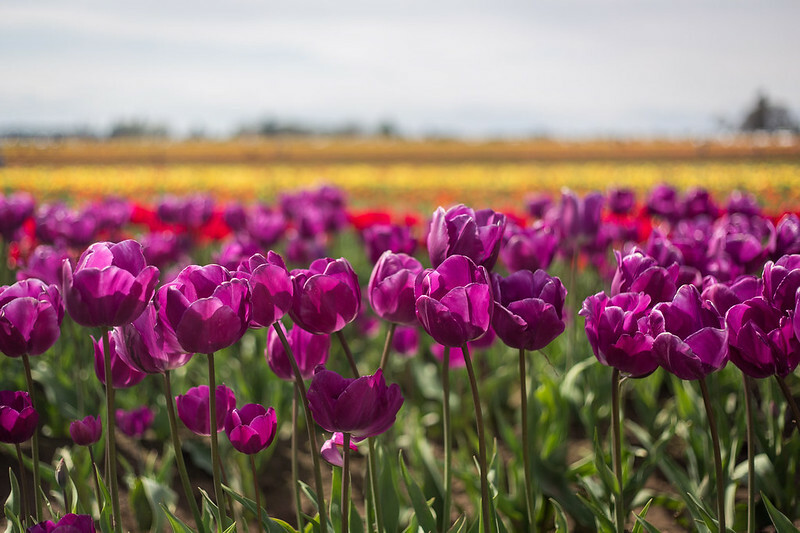 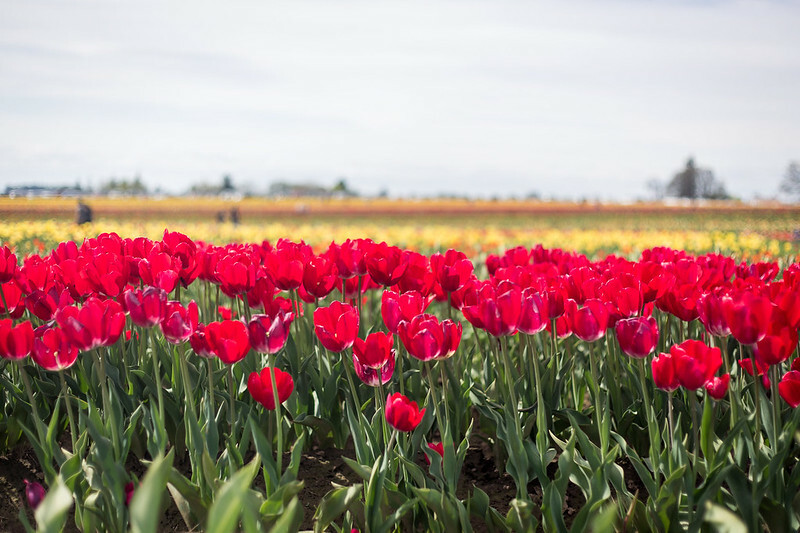 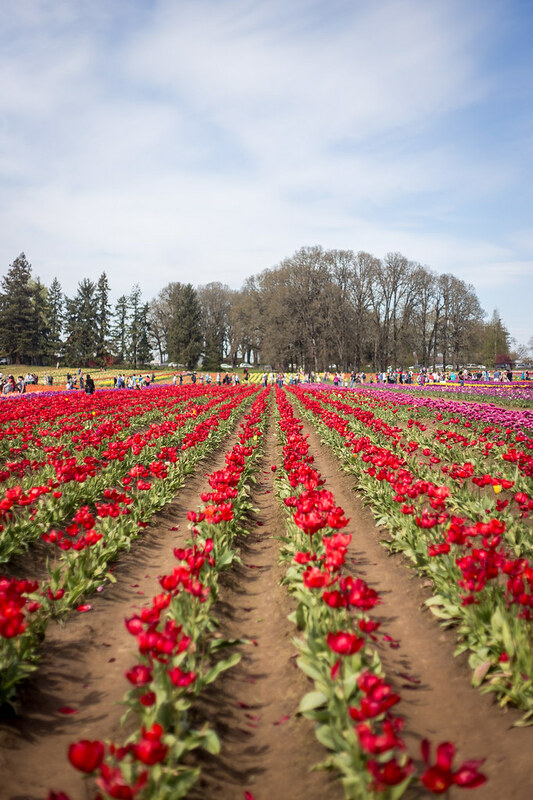 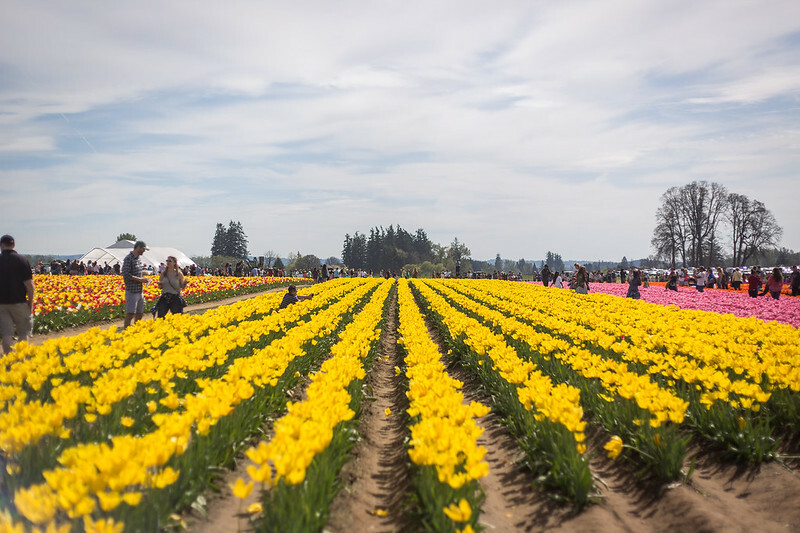 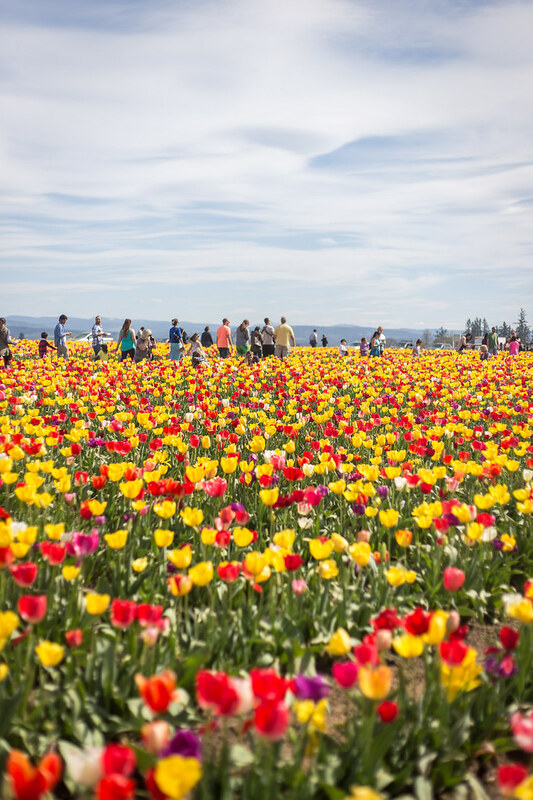 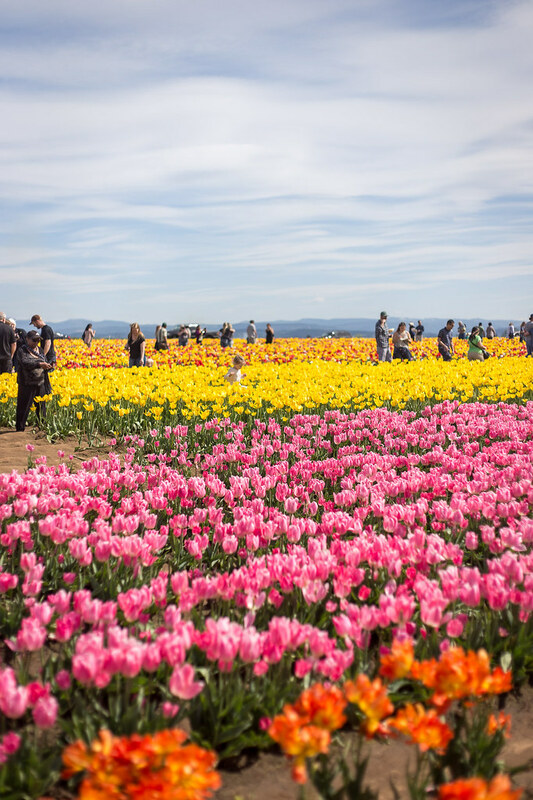 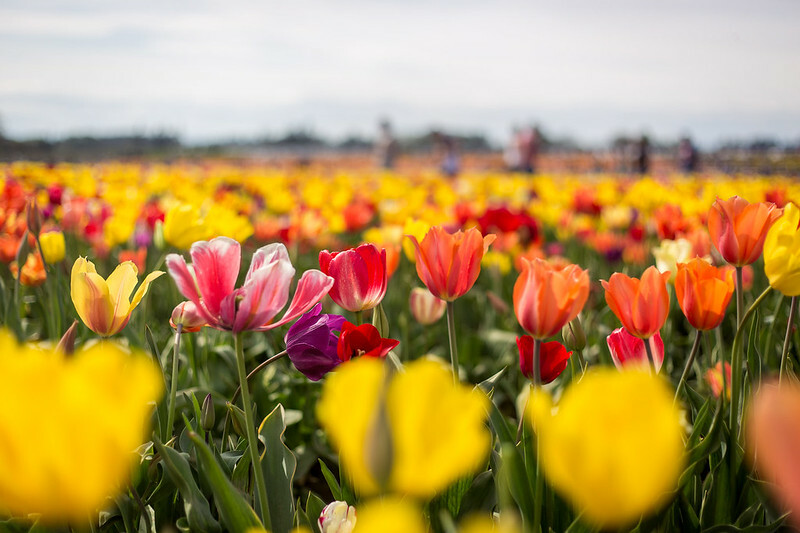 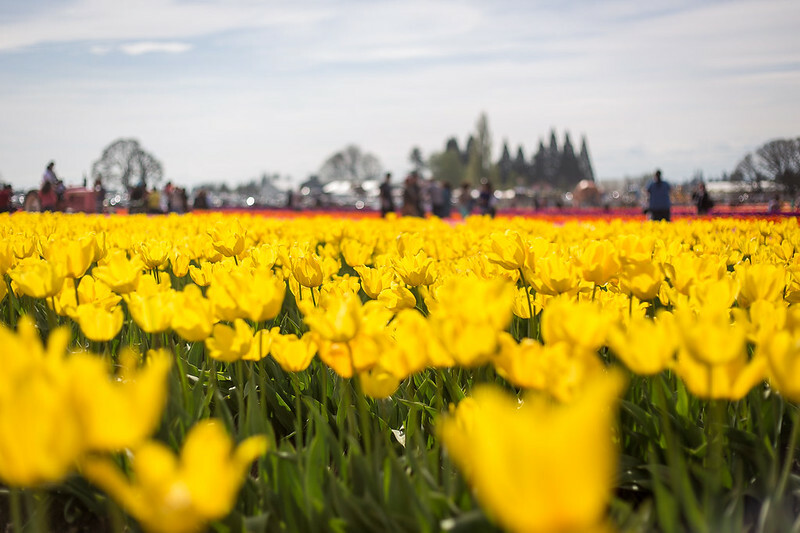 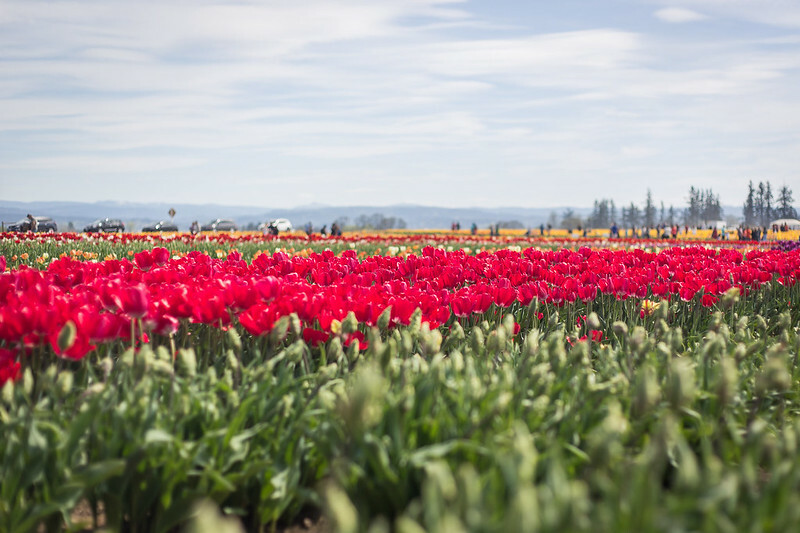 On Sunday we went to the Wooden Shoe Tulip Fest in Woodburn and it was even more amazing than I thought it would be. 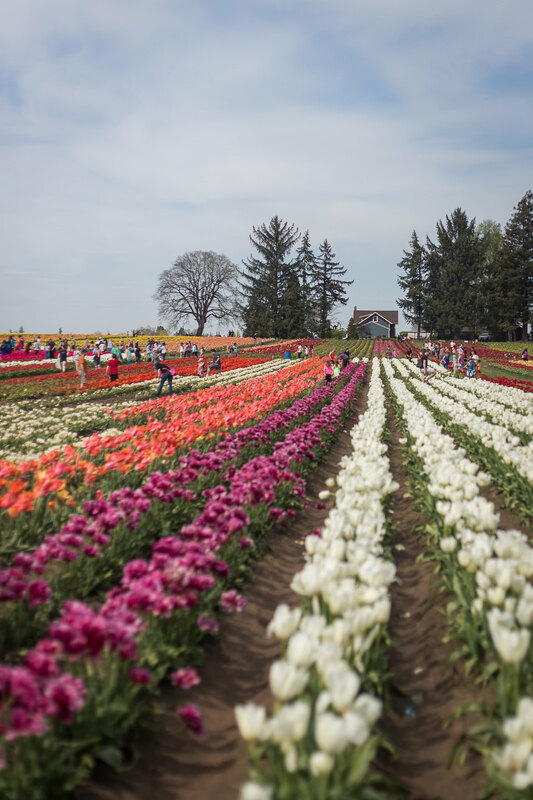 It was kind of madness to get in there; we waited in line in the car for over an hour. 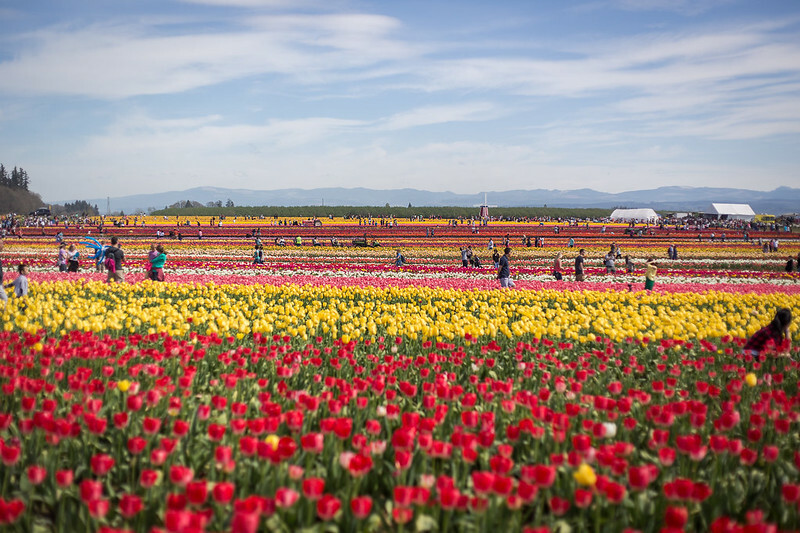 But these huge fields of solid color or bars of bright, saturated color are really incredible to see. 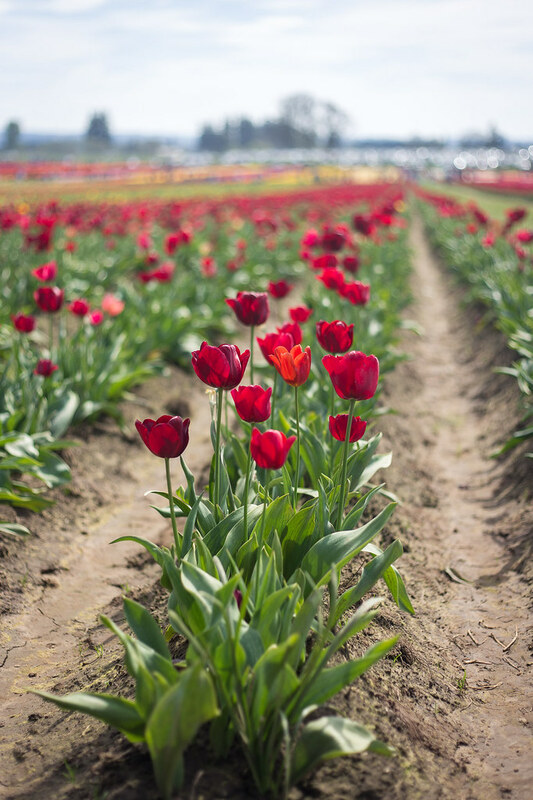 My favorite was probably the red and yellow mixed together. 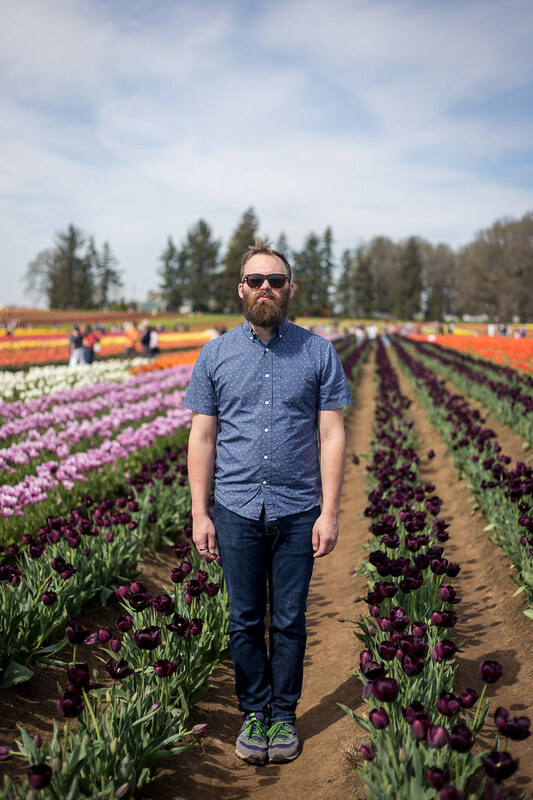 Nat loved these really dark purple tulips, the broodiest of all the flowers–I told him to stand with them and make a sour face, haha. 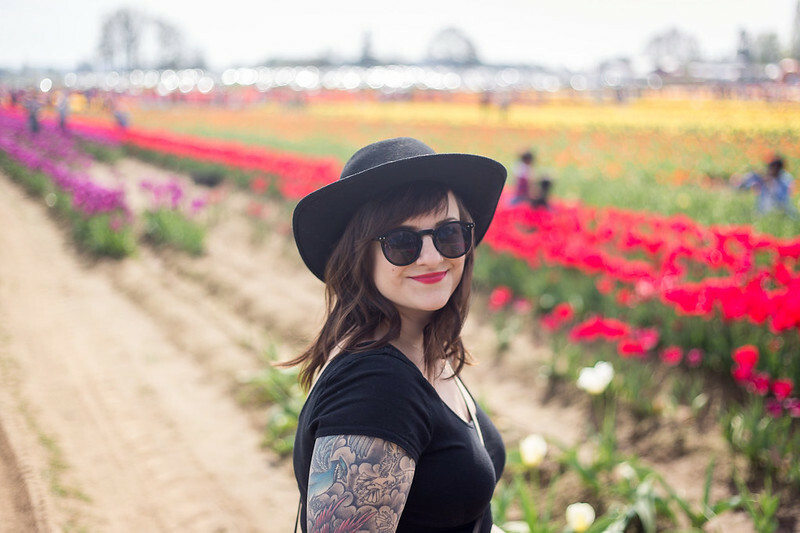 It made me really miss the sunflower fields in Kansas in the summer, but this is a good substitute. 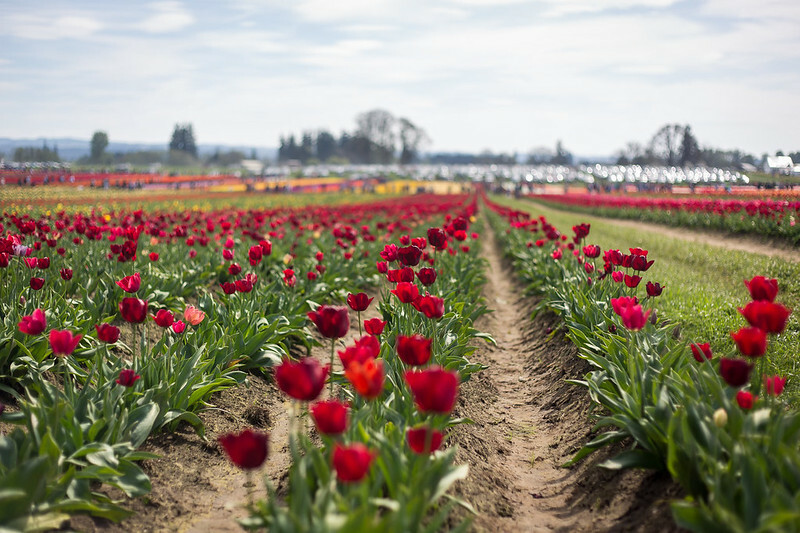 wowwwieeee these are amazing photos!